Just two weeks ago the feature film "Harodim" was released in theaters in germany and austria. (german language) Actors are Travis Fimmel, Michael Desante and Peter Fonda. I attented in a cinema in Hamburg to view it and think it's a great movie. A VOD release is soon to come, then as english version, too. I did have some questions, and was able to ask the director and writer of "Harodim" some as blogger for the german 911-archiv.net. 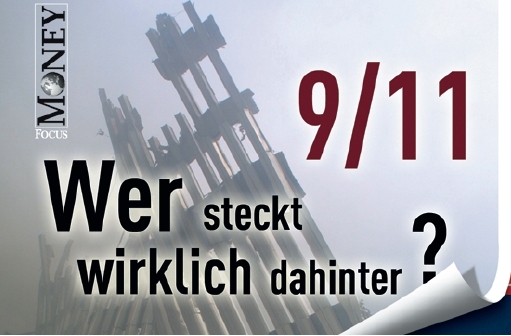 Normally our blog has the intention to summarize 9/11 truth news for the german readership. As the questions had to be in english, I do publish the english version, too. I was able to ask him about the announced failure of "September Morn" also, and he presented is an interesting view about it. 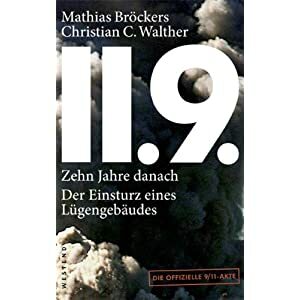 Beginning today, there are several 9/11 truth books in the pipeline till this year 9/11 date. 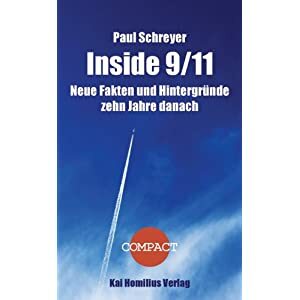 "Inside 9/11: Neue Fakten und Hintergründe 10 Jahre danach"
by Paul Schreyer, who is the son of famous German author Wolfgang Schreyer and did write a 9/11 novel with him back in 2005, called "The Legend" in German language. If the facts in this new book mess with the one presented in the novel, this will be a fantastic read. And even for Jon Gold, because Schreyer did not touch cd in any way- but make his point anyway, even without it, quite impressive. (APN) ATLANTA -- It will be ten years since September 11, 2001, in just a few months. And yet some of the most basic and fundamental questions about what happened that day--based upon physics and the forensic science of structural engineering--in the collapse of three towers at the World Trade Center in New York, still linger. Groups such as Architects & Engineers for 9/11 Truth (A&E), founded by Richard Gage; and We Are Change Atlanta want to re-examine the evidence regarding the collapse of all three buildings. On the day Osama bin Laden was announced killed, there were reports about DNA tests being made and resulting in a positive match, beginning in the morning here in Germany, likewise 7-9 hours after the raid. On midday, 12-14 hours after the raid, there was a slightly change, they said DNA tests had been made but the results are open, in the afternoon, 16-19 hours after the raid, they announced a 99,9% positive match. Only a single newspaper magazine here in Germany had the guts to question a DNA-expert themselves, the SZ (Süddeutsche Zeitung). The expert said, such a fast result is unlikely. And a 99,9% match too, especially if DNA of Osama bin Laden was extracted first out of the death body and the checking sample was from a relative, not by him himself, taken earlier. If the referring probe came from a woman, half-sister, it would be nearly impossible to reach 99,9%, most likely 90% at most, if he was her half-brother, but then, Osama did have lots of other brothers, it could still would mean no positive identification. Recently Prof. Dr. Harrit toured Canada and gave lectures in 6 different universities in 6 cities. P.Eng. Mike Bondi wrote a report on it and published it on AE911Truth, this tour report is worth a read, because of the encouraging reactions by the canadian academics and some news about an upcoming documentary by Adnan Zuberi. 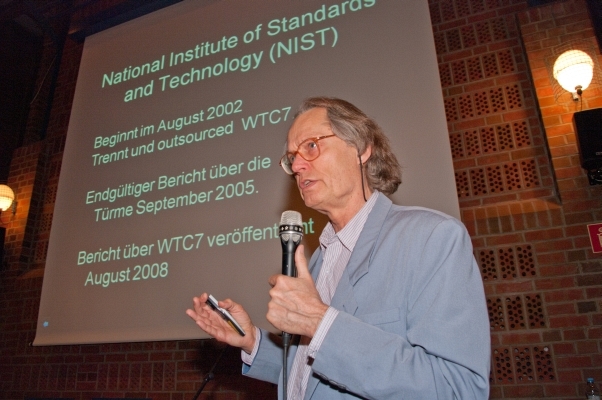 Last sunday Prof. Dr. Niels Harrit adressed some people in Hamburg, Germany. Although it's the second largest city in Germany with more than 1,8 million inhabitants, only 40 people showed up- all but one truthers already. But that was it with the negative setting. We filmed the whole presentation and germans alternative news magazine "Schattenblick" made a full report on it. So a lot more people can see or read what Dr. Harrit has to say, while he speaks mostly in english, he has upgraded his presentation slides completely to german writings and in the case of the David Chandler videos even to a german voiceover. 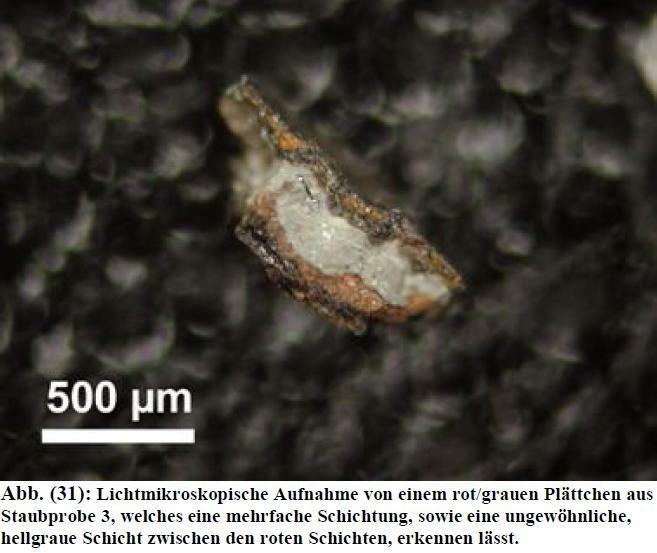 Last september we did two thermite experiments here in germany. One with a steel pipe welded onto a flange of a HEB column, packed with 5 kilo common used thermite, the other with a "combustion chamber", with three sites of the reaction stalled. The outcome was very different. In the first experiment the molten iron did nothing to the column, because it splashed away before it hit the surface. In the second the reaction lasted much longer and more concentrate, the column did glow afterwards in bright orange colour, indication temperatures between 850° and 1.000° centigrade.See my blog entry on it, translated to english language via google translator. 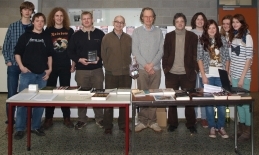 I'm pleased to tell you that our two presentations last friday were both a major success. On the morning we attented a high school called "Altkönigschule Kronberg". It's a village near Frankfurt, Main. The Schüler-AG "Current Events" or "Clandestine Operations and Peak Oil" invited Dr. Niels Harrit, Elias Davidsson and me to speak there. Mr. Davidsson dropped out from the speaches due to timelimits (we had only 1 1/2 hours and wanted to give Niels 50 minutes and 20 minutes for discussion) and so he gladly organized a work shop with around 20 pupils. I adressed the crowd of 180 pupils and some teachers, parents and officials from the school for about 7 minutes, reading a short synopsis of my 9/11 truth novel Nanospuren. "Condemnation before investigation is the height of ignorance"- Did Einstein said this? Other researchers did use it as well. But: Did Einstein said this? In wanted to know when and where he made it. I searched Wikiqoutes for it, but found nothing. On Friday 27 June 1975 a young Venezuelan burst from a Paris apartment straight into the world's headlines. He left for dead four men. He had previously blithely lobbed a grenade into a crowded café, attempted to assassinate the President of the Zionist Federation of Great Britain, seized the French Embassy in Holland, and launched two rocket attacks on planes at Orly airport. His crimes were apparently endless. He went on to kidnap the OPEC ministers in Vienna. He is known to the world as Carlos. The press dubbed him the Jackal. Security forces considered him The World's Most Wanted Man. David Yallop tracked Carlos down to a small village in the Bekaa Valley outside war-torn Beirut. Through two long nights he listened to part of Carlos's story. Then, under tragic circumstances, the trail went dead. For the next seven years, Yallop tried to rediscover Carlos the Jackal, but what began as a manhunt became a journey into a frightening world of terrorism, espionage and Middle Eastern polictics.